Peter Oundjian says farewell after 14-years at the head of the Toronto Symphony with a free concert featuring Mahler’s Ninth Symphony. 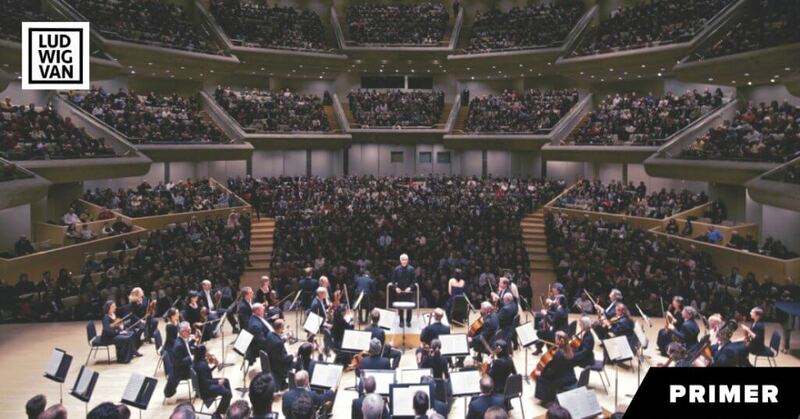 Toronto Symphony Orchestra: “Thank You, Toronto!” Free Concert. Roy Thomson Hall, Friday. As Simon Rattle says farewell this week after 16 years as chief conductor of the Berlin Philharmonic with a performance of Mahler’s Sixth Symphony, Peter Oundjian says farewell after 14 years at the head of the Toronto Symphony with Mahler’s Ninth Symphony (last night, repeated tomorrow). The world-weary, angst-ridden, mammoth, triumphant symphonies of Mahler poignantly capture the mixed feelings that prevail on such occasions. 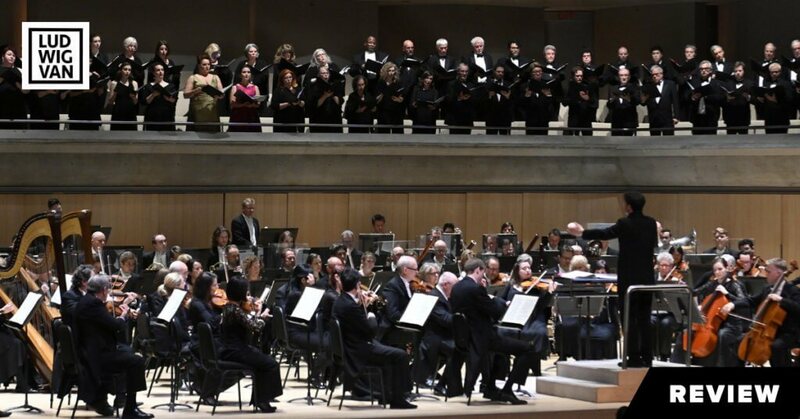 A somewhat (though not much) lighter approach was taken for the “Thank You, Toronto!” free lunchtime concert that Oundjian and the Toronto Symphony offered in Roy Thomson Hall. The repertoire consisted of German and Russian favourites: Glinka’s Overture to Ruslan und Lyudmila, the finale to Brahms’s Symphony No. 1, and most of Mussorgsky’s Pictures at an Exhibition, in the Ravel orchestration. This was all repertoire heard earlier this month in main stage performances, the Brahms on the 13th and 14th, the Glinka and Mussorgsky on the 16th. The playing was polished, exciting, and very well received. Indeed, Oundjian received a standing ovation just for walking on stage. This led straight into a rousing rendition of “O Canada” with extensive choral participation from the audience. In fact, the audience singing was so good that Oundjian invited us all back to sing along with Beethoven’s Ninth next week! 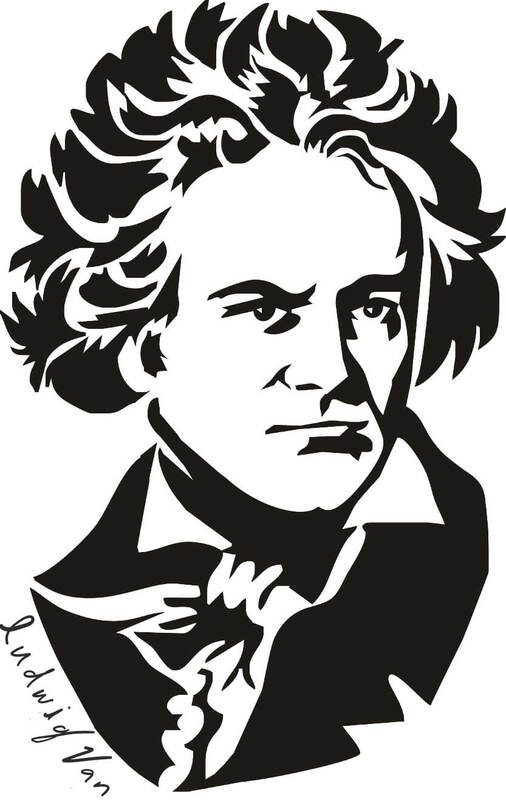 If I had to single out one sterling moment from the concert itself, it would be the horn playing in the slow introduction of the Brahms movement, which was resonant, powerful, and majestic, with a glowing, burnished tone. 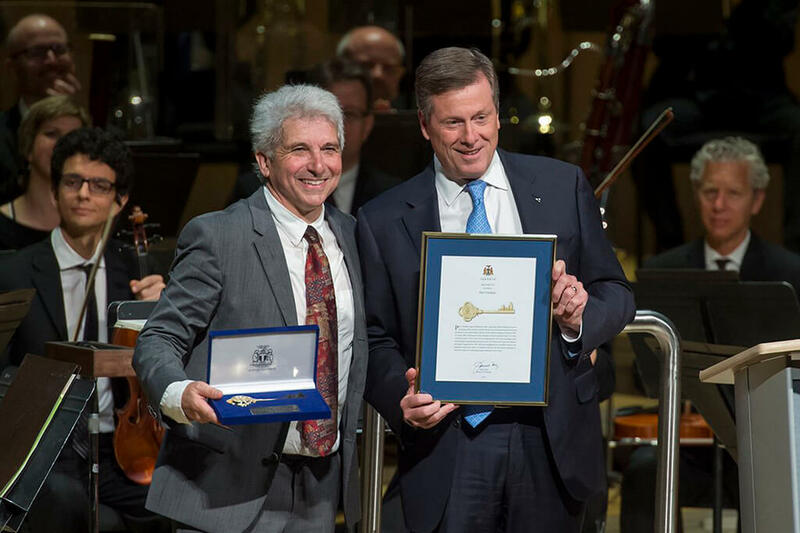 At the end of the concert, Mayor John Tory gave an excellent speech about the importance of the TSO to Toronto (he noted proudly that his great-uncle had been an orchestra member) and presented Peter Oundjian with the keys to the city, in appreciation for his work for the orchestra, and for the city, during the past 14 years.